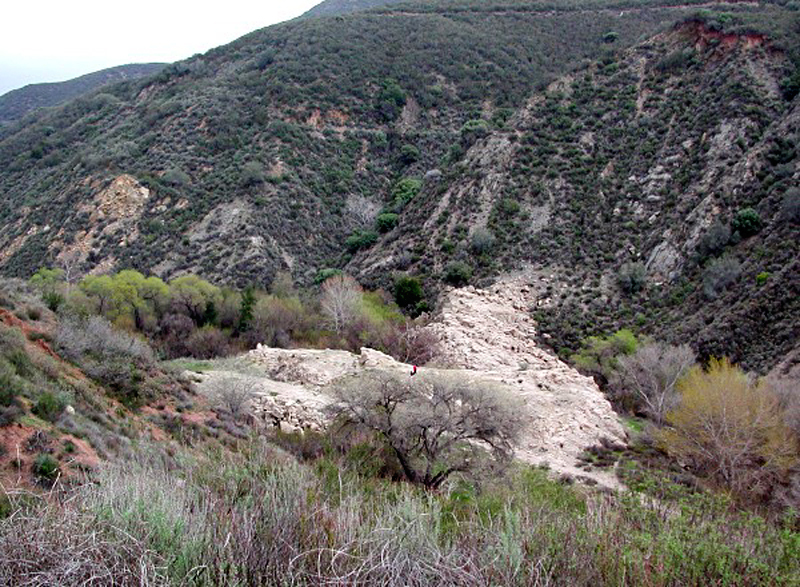 March 11, 2001 — Ruins at the base of the former St. Francis Dam in San Francisquito Canyon. The red speck in the center is a person. LW2100c: 19200 dpi jpeg from samller jpeg | Photo by Leon Worden | Online image only.